In June 2017, Chinese-owned Ironman bought Competitor Group Holdings Inc. and its prize properties — the Rock ‘n’ Roll Marathon Series including the original event in San Diego. 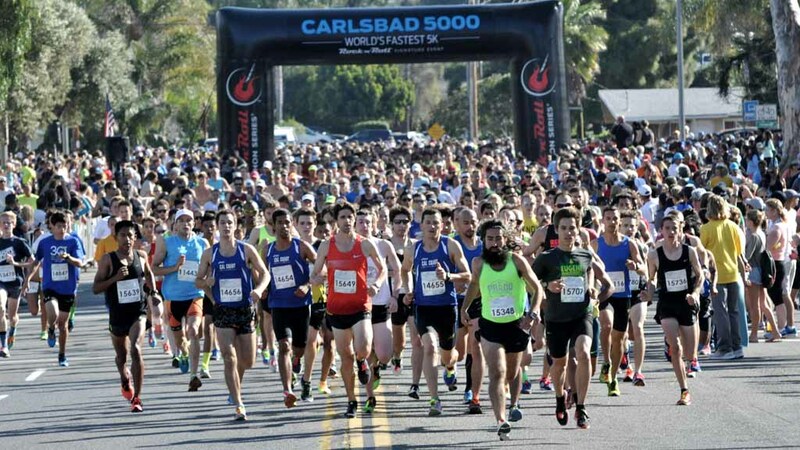 Rarely mentioned in press coverage: The Carlsbad 5000 went with the deal, too. 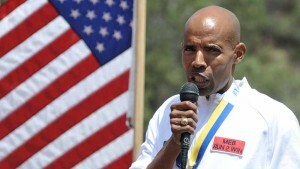 On Tuesday, a 32-year-old Carmel Valley ultradistance runner announced her acquisition of the iconic “Party by the Sea,” with running legend Meb Keflezighi, 43, “brought in” as part owner. Ashley Gibson, who prefers trail runs but completed last April’s London Marathon in 4 hours and 2 minutes, said she self-funded the purchase via her 3-month-old company Groundwork Endurance, a “one-manager” limited liability company. She didn’t disclose the cost. But to local runners, the “world’s fastest 5K” is priceless. In fact, the sale may have saved the race from oblivion. It still hasn’t begun accepting entries for the 2019 races — only four months away. The fact that Carlsbad 5000 operators didn’t invite 2018 finishers to sign up for the following year was a signal the race was going to be “offloaded,” Babbit said in a phone interview. 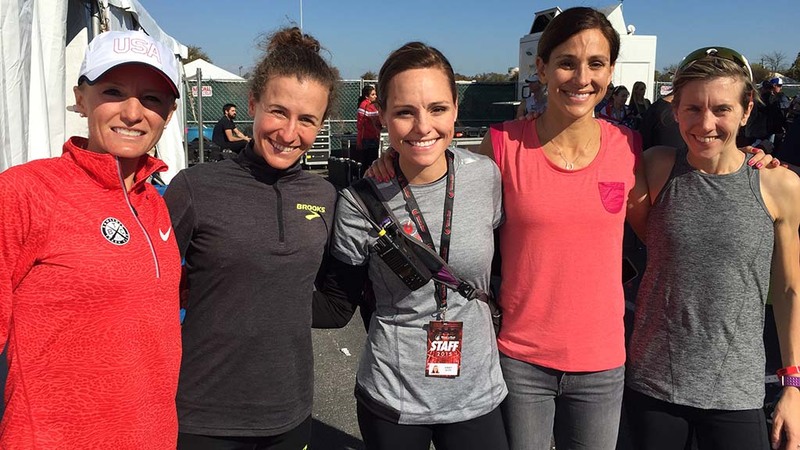 He said: “We want to get those American records back that have been broken over the past couple years” — by Ben True (13:20) last year in Boston and Molly Huddle (14:50), also in Boston, in April 2015. Carlsbad champions still hold the men’s and women’s world 5K road-running records — 12:59.5 by Kenya’s Sammy Kipketer in 2000 and 14:46 by Ethiopia’s Meseret Defar in 2006. Carlsbad also gained fame for its mix of masters age-groupers, kids and run-of-the-mill joggers. Also its party atmosphere with a Pizza Port beer garden (which will be back). “It’s one of the few running events that’s also a spectator event,” Babbitt said of the festival founded by Elite Racing’s Tim Murphy in 1986. But in 2018, it had 6,031 finishers (compared with a routine 10,000), according to the Carlsbad Tourism Business Improvement District, which gave the event $15,000. Cruz and Babbitt said Carlsbad didn’t fit the business model of Ironman, a Florida-based concern whose parent World Triathlon Corp. was bought by China’s Wanda Group for $650 million in 2015. Carlsbad “didn’t fit in the portfolio” of Ironman, whose marathons and triathlons attract tens of thousands and where cities bid for them to put “heads in beds,” Babbitt said. So who is the woman jump-starting the race? Born in the Chicago suburb of Highland Park, Gibson grew up in the Dallas-Fort Worth area and studied journalism and advertising at the University of North Texas in Denton. 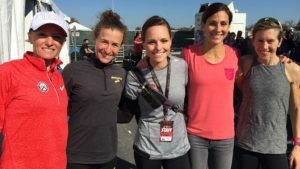 Gibson took a job with Competitor Group, doing digital marketing of the Rock ‘n’ Roll Marathon Series, and moved to its San Diego base nearly five years ago. She stayed with Ironman after the sale (and move to Tampa) for almost a year, then left to do some traveling. But having been part of Rock ‘n’ Roll leadership at Ironman, she knew the Carlsbad 5000 had stepchild status and might be shopped. Gibson said other potential buyers existed and “conversations” were taking place, so she expressed an interest to Josh Furlow, the former CEO of Competitor Group. The course won’t change in 2019, she said, although she’s looking at later alterations to avoid the nuisance of planning around train schedules — runners crossing tracks twice on the course. She expects him to run the 3.1-mile hairpin-turn race as well. Former publisher Babbitt also is excited — and hopeful. “I’m 1000 percent confident in Ashley and her team that they’ll make the event great,” he said.